We are the pizza experts! Fast casual pizza franchise may be the way to go for you. If your systems orientated and feel that you can do what you’re told, pay royalties’ forever even if you don’t make money well ok ! But if you’re not of that mold and want to start your own concept we make it easy! We specialize in Fast Casual Pizza Concept Development. Business Plans: A complete business plan with startup cost, financial projections, food cost, head counts, and interactive spreadsheets with up to 5-year projections of profit and loss with various scenarios. Logo Design: let’s face it, your logo is one of the most important marketing items you have. We work with our clients and make sure that their brand image is captured and communicates the message that they want the public to get. We can do many variations of logos and color schemes and get our clients exactly what they need. Pre-Opening Check lists: prior to construction there are many actions to complete. We will provide you with guide lines and a punch list that covers every detail of what you need to be doing such as licenses, legal, health regulations, hiring, purchasing, staffing, vendors, etc. – all put together on a check list with suggested time lines and targets to get your location open in an efficient and organized way. This will help keep you focused on all the task that need to be accomplished and keep you moving towards your opening goals in a organized and professional manner. Menu Design: We do complete menu design and engineering for any size project. 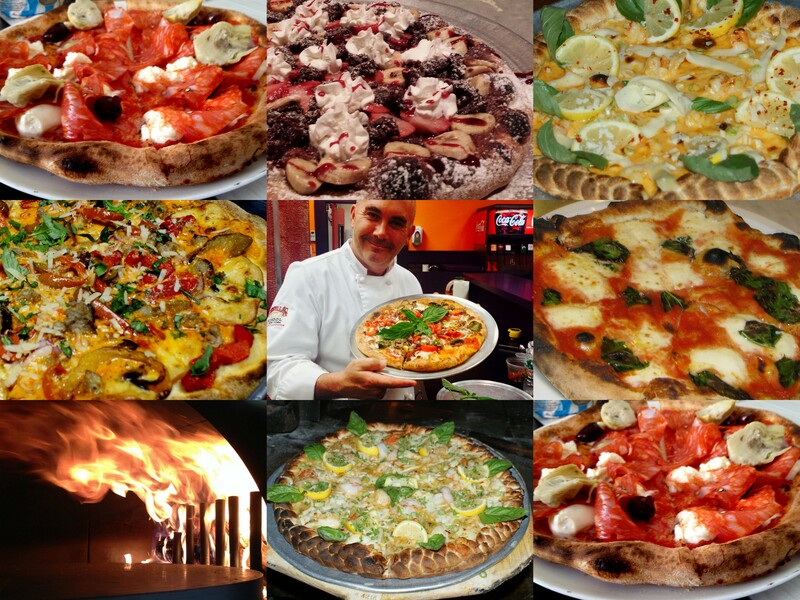 If you are looking to create great pizza concept (for fast casual) we are the pizza experts. Our world champion pizza team has helped launch more individual fast casual concepts and pizza restaurants than any other company. We can develop menus for gourmet pizza, salads, sandwiches, bread, soups and pasta for any concept style. We can specify products, food cost and create recipe standards for all your menu items. After our clients expand upon their desired menu ideas, we evaluate them for consistency, ease of operation, and practicality. Some of the points we cover are inventory, training, price points, labor, skill level, and market demographics. Upon completion of your menu evaluation and development, we offer a complete Operational System Book for each station. The operational System Books include recipes, photos, step by step guidelines, training procedures, and operational procedures. The books are important tools and are crucial for your success. They are the tools that allow your team to train the staff and run a successful restaurant. We can also develop specialty pies, (based on your input and recommendations or ours) and create specification recipes for each one. Included will also be ingredients lists, all procedures and step by step photos to have and use in a training manual for future staff. This manual will help you to train your staff successfully and consistently. Also included in the menu engineering will be food cost for all menu items .This will be on an interactive spreadsheet that will allow you to know the cost of all goods being sold at all times. This will also help you with setting pricing of each menu item and give you the data to sell them at the correct profit margins. 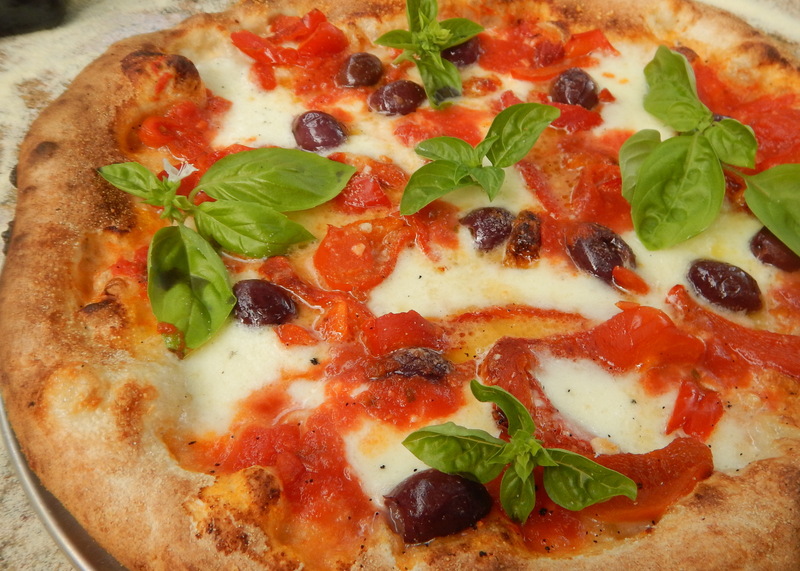 Custom menu for Pizza includes dough recipe, sauce recipes, specialty pies etc. Prep list (par) sheets for pizza. Line checks for pizza (Quality checklist) for a pizza station to be used daily. Pizza station set up, all containers and tools set and labeled. Small ware list. Food cost for all pies determined with spread sheet for future use. Recipe book, food cost and cheat sheets. Employee manuals with all information and procedures. The manuals and recipe developments can also be done for Salad, Sandwiches, Soups and Pasta! Concept Creation, Store Design: We offer complete drawings for your concept. We are restaurateurs and designers who understand what it takes to properly set up a great concept. We are an experienced and a professional team who know firsthand what it takes to do the job correctly and efficiently. We will lay out your store so that it’s efficient and cost effective to operate and build. We provide you with Auto Cad Drawings (Automated Computer Aided Design/Drafting) complete with all equipment needs (brands) including plumbing and electrical roughing’s. What we really do: We provide detailed layouts of your restaurant based upon the menu and design of a building. We will consult you on proper workflow diagrams and set ups that will allow you the most economical design. We offer complete mechanical drawings that can be used for build out purposes with all equipment specified. The drawings that we provide will be in auto cad format as well as printed drawings with an equipment schedule list. Our designers have worked on hundreds of jobs and understand what it is we do. This will cover all equipment specifications, plumbing, and electrical schematics as well. We will provide wall backing materials and elevations for finish cabinetry where necessary. This will be done by our design team with our clients input as well. You can then present the plans to your local architect for filing and approvals as well as contractors for biding. Our approach to every design is to first understand the concept and vision. We do that through an interview process. It then is our job to utilize the space in the most efficient way. We understand the cost of employees and real estate. It is imperative that we do not waste either. We understand the cost of over-drawing and specifying needless kitchen equipment. Thousands of extra dollars can be spent with poor plumbing locations. We make sure that each floor drain can handle 2 or 3 pieces of equipment. And do all we can to avoid custom equipment. The concept phase of the project is your complete layout based on your concept and vision. This also includes helping define a menu to insure proper equipment specifications. The second phase is the rest of the package which includes food service plumbing plan, food service electrical, equipment specifications, equipment branding and Equipment Company pricing. Elevations of equipment are supplied when necessary as part of the package. All drawings that we provide are Auto CAD based. We draw to all health department and ADA codes. The equipment we select for your space is based purely on the ability to produce a specific product. We do not overdraw or have any reason to exceed your budget. It is our job to realize your vision and concept and at the same time design a space that is very customer and employee friendly. Equipment Specifications and Quotes. We will specify all equipment for your store at the best prices we can get for you through several reputable vendors with quotes. We will shop the cheapest prices and find you the best deals on the market. This will include all equipment, ovens, tables, chairs, small wares and Point of Sale needs. You can shop the quotes as well once we present them to you. We will line up several vendors for you with options on equipment. 3D Color Renderings: The Concept sketch; we specialize in interior design… Don’t guess at a look you want or waste money and time, nail it down before you start! let our design team give you 3d color renderings of your complete concept. We can provide you with complete drawings in 3d and with color details of all finishes, tables, lights, chairs, wall paint etc. This way you will see your vision come to life before you start. This will also save you time, money and allow you get the exact look and feel of your concept before you begin the build out process. This also make the building and bidding process a much easier process. We also provide the “specific material list” based upon the chosen finishes. You will have all vendor’s contacts and web site links for the specified materials of your design. This way you can get estimates and the known cost for materials while making the building process much more stream lined and efficient. What we really do: After the basic design layout is done, we go to work with our interior design team. We interview our clients and ask them for their desired look, ideas, feel, colors and similar concept designs that they like and any special needs or ideas that they might have. We then take those ideas and begin adding colors and texture to floors, walls, ceilings, chairs booths etc. We then review the design with our clients and continue to develop the concept look and feel. Each step is approved by our clients as we build on their ideas and add more color and design finishes. This will include Floor finishes, such as tiles, woods, concrete, vinyl, etc. Wall finishes: such as paint, woods, graphics etc. Lighting fixtures of all types and ideas. Ceiling finishes and designs. Counter finishes such as wood, granite, etc. Logo placement, menu board location and any other ideas that fit the new concept. You basically help us to create the looks from multiple design phase meetings and ideas that we present you over the web. When the concept is complete we provide detailed drawings in color and a list of all materials chosen with the manufactures web sites to source the products or shop and compare. You can now present this to your architects and contractors for review, bidding and filing. We do not do Mechanical Engineering for HVAC. This is something that needs to be done by local engineers or HVAC contactors. .Our Plans are interior and design specifications as well as all plumbing and electrical roughing’s provided for your local approvals. Concept designs with a 3D Color rendering. This way our clients can have a clear vision of what the place will look like. Table Top colors, wall finishes paints, flooring countertops lighting fixtures chairs and listed out with vendors’ contacts and exact product specifications. By being able to view your concept you can see your vision come to life each step of the way. What makes a great chain successful? They have systems in place for every aspect of the restaurant. We can provide operation manuals and systems for all stations and positions. What that does is allow operators to produce perfect products, consistent products while allowing staff training to be constant and professional. The operating systems are the heart and soul of the operation and a definite must for all successful operations, especially for startup operations. Specific to your Brand and specific to all stations. We can provide you with custom manuals for all stations.What that truly means is that you will have a consistent method of training and standard systems like franchise companies use. This can cover all areas of your concept Front of the house training (bussers, runners phone persons) and back of the house training (Pizza, cooks, dish washers, prep people). As well as management systems. Each staff member will have specific duties and responsibilities. They will have a manual that will define those duties.The manuals cover how to do things, example: prep food, tools used, containers used, store food, set up pars for ample amounts of food daily, food safety practices, cleaning systems and recipe standards.They also include things like: How to answer the phone, what is the uniform policy? How to treat the guests, how to act, etc. The manuals that we provide will encompass all the training data used for each station. They will basically cover what is expected of all employees and define their jobs and duties. This creates a stable work environment without confusion and gives the operator the ability to manage and train his staff to professional standards. Training at your location. It is essential to train your key staff on pizza and all staff before you open. We can assist with training your employees and management (owners) at your locations for (x) days on the products we help you create for your concept. The staff will become familiar with all items and techniques. It is extremely important to ensure that they become confident and able before you open. 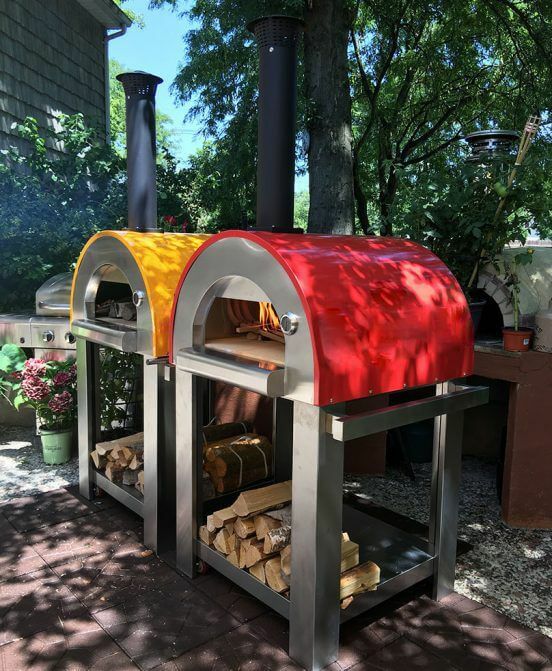 The training can be on all pizza specifications, dough recipes, procedures, sauces, toppings, oven use, food prep and station set ups. We are Professional trainers, who have trained hundreds of newbies and “professionals” in the food industry. This can also include setting up all stations, equipment use, sanitation practices, food safety, and prep work involved for all items and par sheet training. This will be the “set standards” for all your staff. We use the training manuals created for your staff and will review all details daily. Management must be part of each station specific training. This way the systems are known and you set up the standards from then on! For fast casual pizza concepts, we will make your life easy!